Le Quang Liem entered the third round of the World Cup 2015 in Baku, Azerbaijan, on September 16. 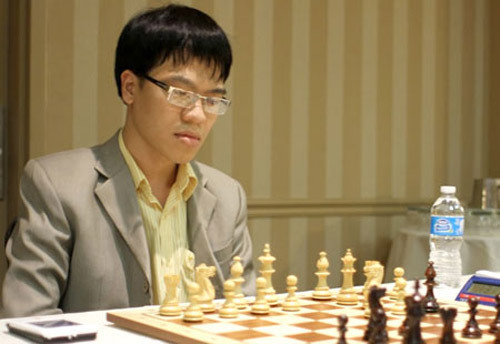 HA NOI (VNS) — Top Vietnamese chess player Le Quang Liem entered the third round of the World Cup 2015 in Baku, Azerbaijan, on September 16. Liem defeated Vitiugov Nikita of Russia in the rapid chess game to move to the next round, which has only 16 players. Earlier, Liem, who has an Elo rating of 2697, drew with Russia's Nikita (Elo 2725) in both the first and the second leg of the second round. With this result, Liem will receive a bonus of US$16,000 from the event's organisers.